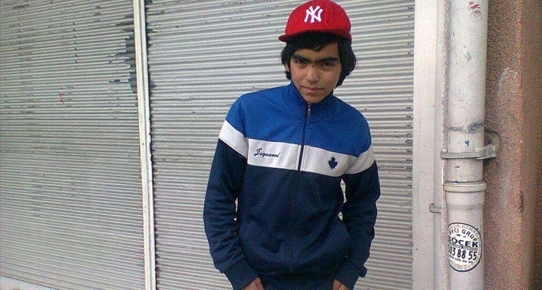 Berkin Elvan had only turned 15 in January while still in a coma. Berkin Elvan, who has been in a coma since June 2013 after being struck in the head by a gas canister during a police crackdown on protesters, died March 11, his family announced via Twitter. “To our people: We lost our son Berkin Elvan at 7 a.m. in the morning. Condolences to us all,” Elvan’s parents said in the message. The young teenager, the eighth person to be killed in the Gezi Park protests, went into a coma after sustaining a head injury from a gas canister as he went to buy bread during a police crackdown in Istanbul’s Okmeydanı neighborhood last June. Elvan has since become one of the prime symbols violence faced by protesters throughout the nationwide Gezi demonstrations. He had only turned 15 in January while still in a coma. Scores of people gathered in front of the hospital where Elvan was convalescent for over nine months, in a show of solidarity with the family upon calls on social media. Tension rose between a group of demonstrators and the police, which again resorted to tear gas regardless of the fact that the hospital’s entrance was nearby. “Riot police came in front of the hospital as the funeral was to be sent to the forensics. Some people went that way and protested against the police. A scuffle occurred. Police did not refrain itself at all from using gas. They once again used disproportionate force,” said Republican People’s Party’s (CHP) Istanbul lawmaker Melda Onur, who was participating to the vigil. Tear gas even entered inside the hospital, Onur said. Onur also said that a child was brought to the hospital after being injured due a tear gas canister. Tributes also poured in under the hashtag #BerkinElvanÖlümsüzdür (“Berkin Elvan is immortal”). 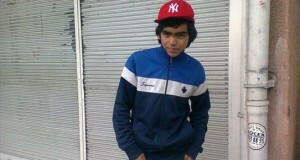 The teenager’s parents were shattered when they joined activists keeping vigil for Berkin. “It is not Allah who has taken my son away. It is [Prime Minister] Tayyip Erdoğan,” said the mother, Gülsüm Elvan. Erdoğan had memorably praised to police for “heroic action” during the Gezi unrest back in June, despite the fatal victims and serious injuries sustained due to the repeated brutal crackdowns on protesters. Lawyers representing the family had said Elvan’s condition worsened over the last week, with his weight dropping to 16 kilos from 45 kilos. Elvan suffered an epileptic fit on March 6, his heart stopped a day later, and on March 9 doctors diagnosed an air pocket in his lungs. “His young body resisted for 267 days against the damage caused by the gas canister fired by the police, the same way our people resisted against fascism. But that resistance has been decreasing gradually and the damage to his inner organs is growing due to the fact that his brain functions are very low,” the statement released on March 9 said. In a first for a government official, President Abdullah Gül had contacted the family on March 10 as a police intervention was ongoing against a vigil held in front of the hospital in Istanbul’s Okmeydanı neighborhood. The family has repeatedly slammed officials for protecting the perpetrators and announced that they would be starting a legal process at the European Court of Human Rights (ECHR), as no effective domestic investigation had been carried out over the last seven months. The officers who took part in the crackdown that cost Elvan’s life are still on duty. Five protesters, Mehmet Ayvalıtaş, Ahmet Cömert, Ethem Sarısülük, Ali İsmail Korkmaz and Ahmet Atakan, died directly as a result of crackdowns on the Gezi protests last summer. Two others are also counted as part of the Gezi dead, including Medeni Yıldırım, who was shot during a demonstration against the building of a new gendarmerie post in Diyarbakır’s Lice district, and Hasan Ferit Gedik, a leftist protester who was murdered by drug gangs in September 2013 in the Gülsuyu neighborhood of Istanbul’s Maltepe district.